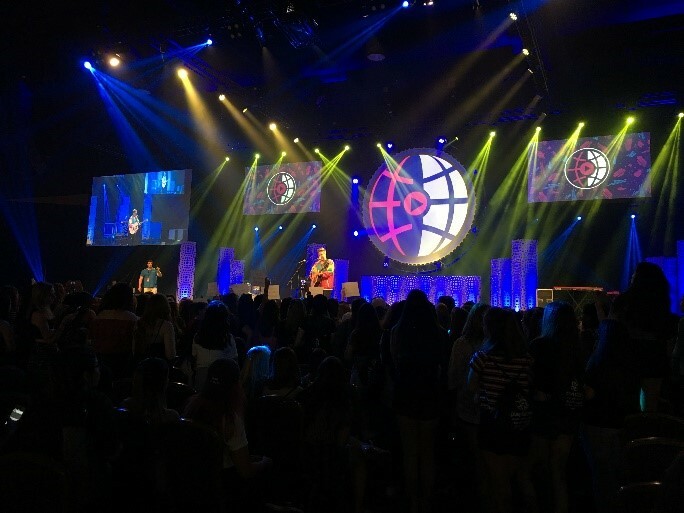 Every year, Playlist Live hosts a weekend-long event in Orlando for YouTube stars and fans alike. This three-day convention allows small Youtubers to gain insight on growing their own channels and gives fans the chance to meet large groups of famous YouTube Creators all weekend long. Attendees fly from across the nation for this event, and the 7th annual Playlist Live Orlando is already set to be one of the best events to date. As someone who is currently a small Youtuber, I can easily say that I’m excited to attend Playlist Live this May. The convention is being held at the World Center Marriot again, and as usual, the hotel will be packed with attendees. Fans have the chance to meet their favorite stars at meetups, but for those staying at the hotel, there’s always a high chance of running into Youtubers by the pool or in the lobby. You never know who might end up in the elevator with you! Playlist Live hasn’t released the full lineup of YouTube Creators yet; however, Ricky Dillon, The Gabbie Show, Rickey Thompson, Griffin Arnlund, and so many other well-known Creators have already been announced! No matter what style of videos or content you tend to watch on YouTube, Playlist Live has something for everyone. Attendees can watch live concerts, listen in on panel discussions, meet their favorite Creators, and so much more. If this convention interests you, check it out and don’t miss out on a fun weekend in May!